How many horse breeds are there? 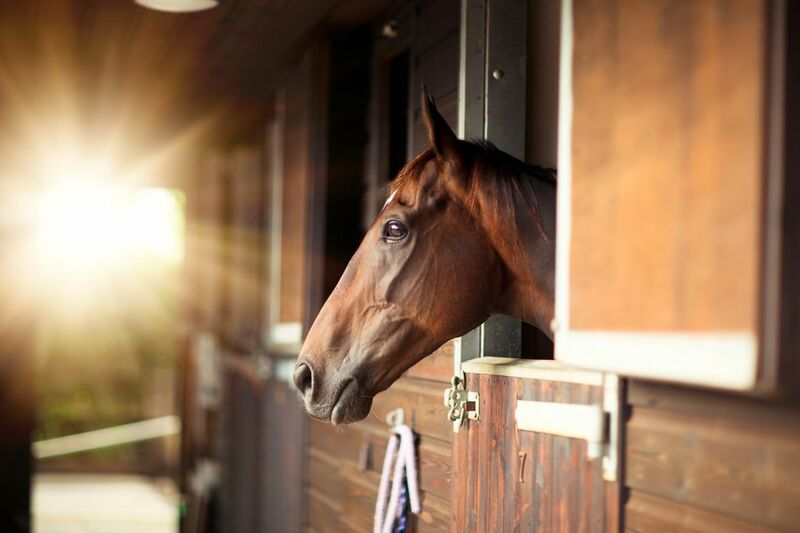 How many horse breeds are there? There are many types and breeds of horses. Various breeds of horses have been developed to serve the needs and wants of man. Horse breeds and types are constantly evolving and while we no longer need horses for transportation or power (although in some corners of the world, real horsepower is still used), we still enjoy them for sport and companionship. Why Are There Different Types of Horses? There are two main types. Horses are over 14hh and ponies are under 14hh. Of these, there are draft horses and ponies, driving types, stock horses used for working livestock, gaited horses, hunters, light horses for riding and racing, horses bred specifically for meat, and a few that are bred specifically as companions.There are many breeds of horses that fall under these basic types. Why Are There so Many Horse Breeds? Most breeds were developed during the time when horses were the major mode of transportation and power. For pulling heavy loads we have the ponderous but strong Clydesdale, Belgian or Percheron. For the entertainment of horse racing, we have the American American Standardbred and the Thoroughbred. Cleveland Bays, Hackney Horses were developed to pull carriages and buggies. Arabians were developed to carry their riders swiftly over the desert, while Kentucky Mountain Horses were developed to comfortably and rapidly carry their riders over mountainous terrain. The Shetland Pony and Welsh Pony have had their place as draught animals in mines, farms, and cities. And breeds like the Lipizzaner, various Warmbloods and Andalusians were developed to carry soldiers into battle. For entertainment and companionship, we have the tiny Falabella and Miniature Horse. All of these breeds were being developed in different locations of the world and each locale would have developed its own breed to serve its various needs. This is why there are so many breeds of horses the world over. Some horses are eligible for breed registration simply because they are a certain color. Most often these colors are flashy and desirable such as the Palomino, Buckskin or Pinto. Registered horses may or may not pass their color on to the next generation. Any horse with these hair coat color or patterns may be registered as being of this 'breed'. It's difficult to calculate exactly how many horses breeds there are, since so many breeds are localized, or have been either differentiated from or included into other breeds over time. I worked with the data available on the Domestic Animal Diversity Information System and found 1396 listings after I deleted obvious duplicates like Arabian/Botswana, Arabian/Brazil, Arabian/Jorden, or Arabe/Peru, Arabe/Tunisia, Arabe/Chili, under the heading of Breeds. There are likely much more 'duplicate breeds' that I don't recognize because although they look similar, I can't find enough information to confirm if for example an Ardennes Horse, Ardenner Horse or Ardenés are the same breeds with different spellings in different countries. I suspect they are. So one country's Huculz Pony is another's Huculský kůň. Many of these breeds are very localized and the populations can be very small. DAD-IS lists local, regional and international breeds. The list also contains spelling errors and extra punctuation within names, adding to the confusion. The Breeds of Livestock Project by the Oklahoma State University lists 217 separate breeds of horses from the Abyssinian to the Zhemaichu. The Encyclopaedia of the Horse by Elwyn Hartely Jones, an extensive reference to the major horse breeds of the world lists over 150 breeds of horses including many ancient breeds that no longer exist but are the ancestors of many breeds today. Most of the breeds Jones catalogs are horse breeds with existing registry databases that trace bloodlines and ensure purity of the breed. The number of breed registries is also increasing as we recognize the need to compile data about rare and endangered breeds and types. This information doesn't really leave you with a definitive number of breeds but does give you an idea of how we have manipulated the genetics of horses in a vast multitude of ways to produce what we think are desirable traits. Exploring the FA DAD-IS list is very interesting as we don't often think of countries like Benin or Nijer as having distinct breeds of horses. And it does confirm that in the horse world, there is truly something for everyone.